Register Log In Home Forums Tires & Wheels Douglas Tires anyone? 125 registered members (Ambo87, AdditiveOCD, 2009Edge, Arcoril, 53' Stude, 10 invisible), 2,167 guests, and 22 spiders. Needing new tires for my 238,000 mile Chevy Cruze. Looking for something to get me through up to 1 year/35,000 miles of interstate driving. Have never had Douglas extra traction tires before but they are cheap at the local Walmart. Has anyone here had any experience with these? The ones with the herringbone tread are actually quite nice. Was told be WM TLE they are made by Goodyear ?? Last edited by GMguy84; 11/17/18 10:40 AM. The ones I've seen are made in the USA, which is a bonus. I have a set of the Douglas all season installed on my pickup for almost two years, and have had no problems. Made in USA by Goodyear. I was worried about wet traction because I don't like spinning like a top, or going sideways down a road. Working just fine on wet roads so far. Either should be decent enough for the value pricing. Goodyear under the name. Last edited by oil_film_movies; 11/17/18 11:56 AM. I've never used Douglas tires, but because they are are a Goodyear brand, I'll tell you of my last set of WalMart-purchased tires made by Goodyear. Bought a set of Goodyear Wranglers for my Jeep from Walmart, well..because, Jeeps need Goodyear Wranglers, right? Three were purchased at one store because they only had three and another was purchased at a different WM store about a week later. The one tire had severe cracking problems around each lug of the tire within a year. The other three were fine. I went back to WM and showed the tire man this tire and he asked if I had road hazard warranty. Told him I did not. He then said that I was SOL. I told him that it wasn't a road hazard problem, it was a manufacturing problem. He agreed. (No funny wearing of the tire, no front end problems, no problem with the other tires, it was a defective tire) He told me that Goodyear would not stand behind that tire no matter what. I asked him if he would feel safe with that tire on his car. "Oh, h*ll, no!" was his reply. That was my last set of Goodyear tires I'll ever buy. Basically, I'm saying that if you have a defective tire and you bought it at WM without paying extra for a road hazard warranty, you are out of luck. Sounds like you need a different Wal-Mart, that has NOTHING to do with road hazards. Unless UV from the sun bouncing off the road counts!! I have also had bad luck with GY from WM, had passenger tires (Viva 2s-JUNK) wear out way before their mileage warranty (rotated regularly). He told me that Goodyear would not stand behind that tire no matter what. I'd never take the word of a Walmart employee on something like that. Call Goodyear. Try another Walmart location. Call over a manager at Walmart if you still don't like the answer (2nd opinion). I think Goodyear would replace the tire for free if its inside of a year like you say. And on topic-I would avoid the standard cheap Douglas tires from WM, had a set get extremely noisy within a year on a Civic wagon I had years ago-and, yep, no warranty on that either! Douglas is Goodyear. Made in good ole USA. I work in the TLE at Walmart. We have gotten Douglas tires in with Kelly stickers or Kelly tires with Douglas stickers. I'm pretty sure they are the exact same tire without the upmarks of Kelly. 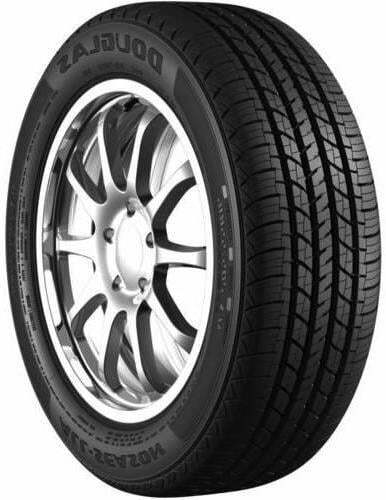 If you plan on putting 35K I would opt for the Goodyear Vivas, they seem to be a way better built tire. I have seen some Douglas tires be completely bald in 20K miles usually they last closer to 30ish. Once there was a vehicle that completely worn them out in 17K miles that was driving a lot of gravel roads. Walmart also likes to not honor mileage warranty, if they can find a reason they will not honor it. I don't think traction would be a problem since they seem to be a softer tire, they usually wear out faster though. GOODYEAR VIVAS ARE ON BLACK FRIDAY SALE! I thought they were Kelly tires. Local Goodyear dealer around here sells Kelly, and they are a little bit more expensive than the Douglas. I have about 15,000 miles or so on the Douglas all season, and it does sure look like I will get 30,000 miles at least. 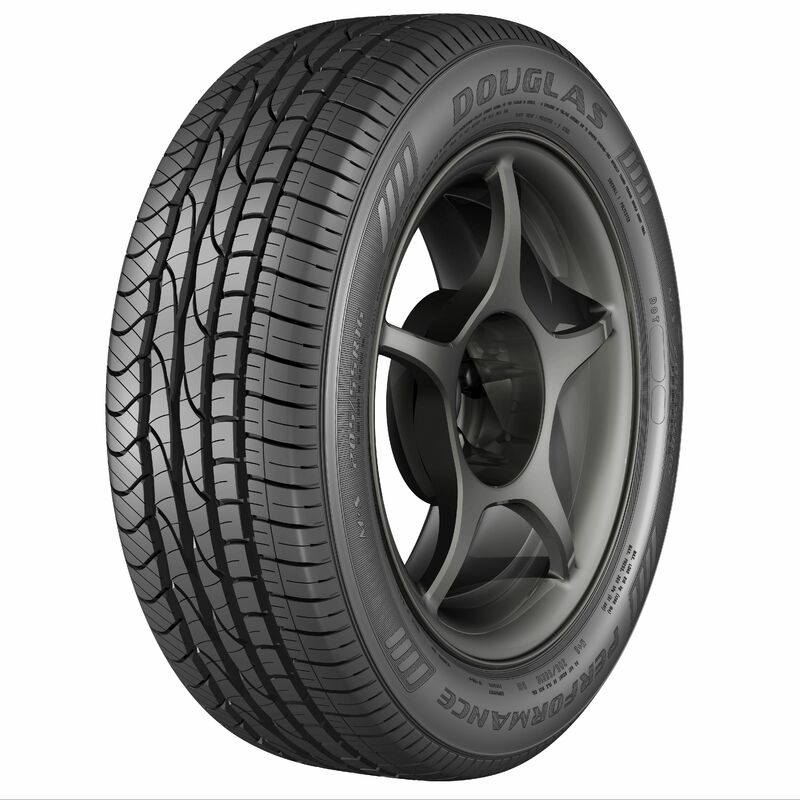 I don't have AC in my truck, so I keep my windows rolled down when it's hot, and I hear all those loud tires rolling down the road from lots of other cars, but the Douglas I have sound like a good tire should. Had what ever the standard version of the Douglas 17" tire is on my 2016 Subaru Forester before I sold it. It was right around $250 all-in to have 4 installed. They were awesome. Like said, it was stamped right on the tire made in the USA. Any fancier name brand tire would have cost twice that. Would they last twice as long and been 2x better? Maybe?